Having had to split the weekend round up with so many activities there are still many more cracking events to report on, 17 racing at Worthing 10k still leaving Tuffs spare to race at two triathlons plus other events. 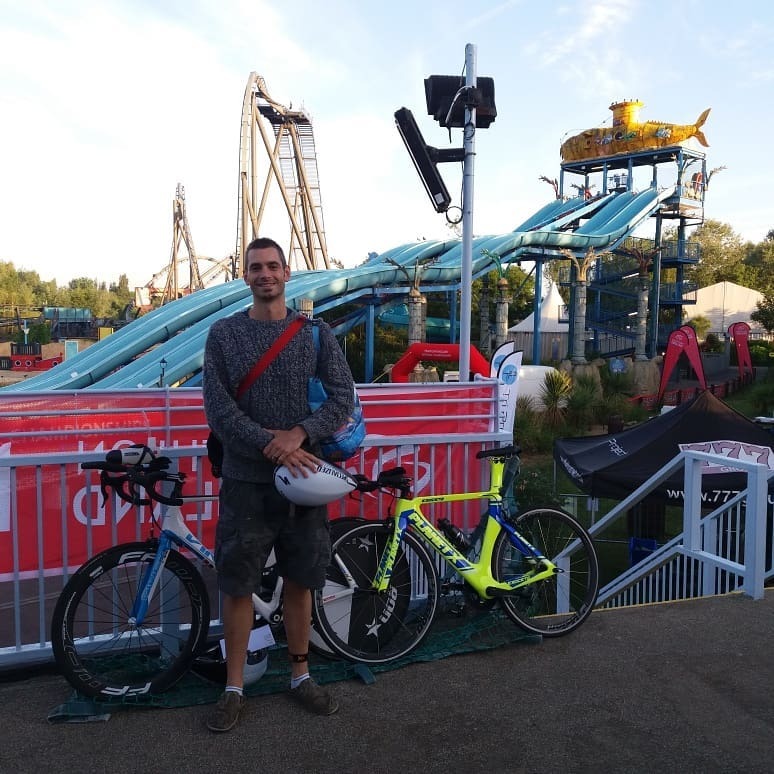 “Headed to Thorpe Park triathlon this weekend with Drew. 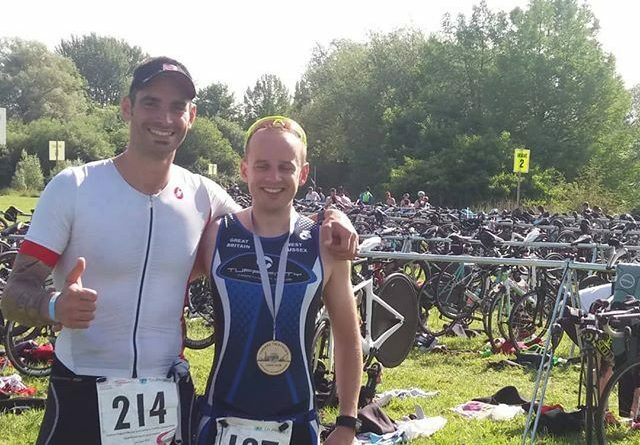 Being an ETU qualifier it was sure to be competitive but just to make sure, they made it the English national championships too. We drove up Saturday, course recce, pub dinner and tonic waters, off to bed and despite some suspicious noises coming from a young lady’s bedroom opposite, I got a solid 6 hours. Up at 4:30 and headed to the registration. Walking into Thorpe Park at that time was quite surreal! 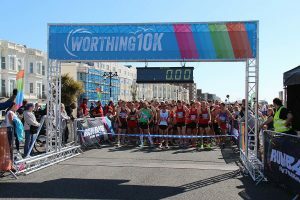 Since the Worthing 10k moved from its Wednesday evening slot it has been expanding and this year there were almost 2,400 finishers; amongst these were 17 club members. 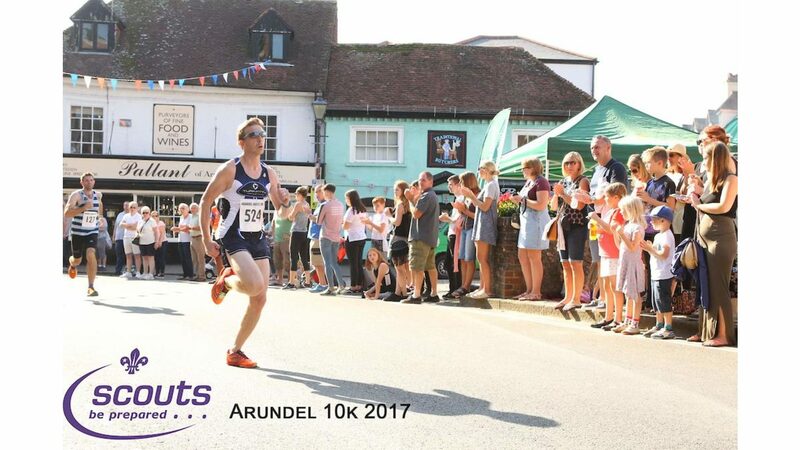 This clearly wasn’t many people’s ‘A’ race with James & Stu recovering after last week’s marathon, Antony & Amanda doing the double with the previous day’s Park Run & Chris & Paul running pacing their respective partners. 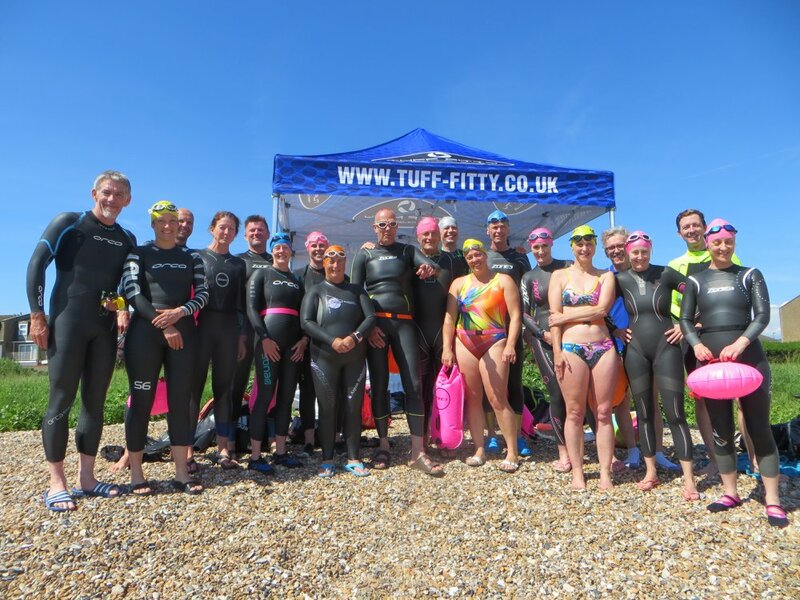 Sharon was racing soon after Cowdray on Thursday and she would join Verity Jane at the Club sea swim shortly afterwards. Sunday morning was very hot and humid having an impact on many peoples times; so how did the Tuffs do? 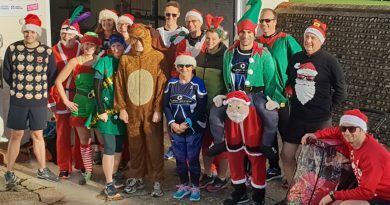 What do you do if you are a member of a running club as well as a Triathlon Club. 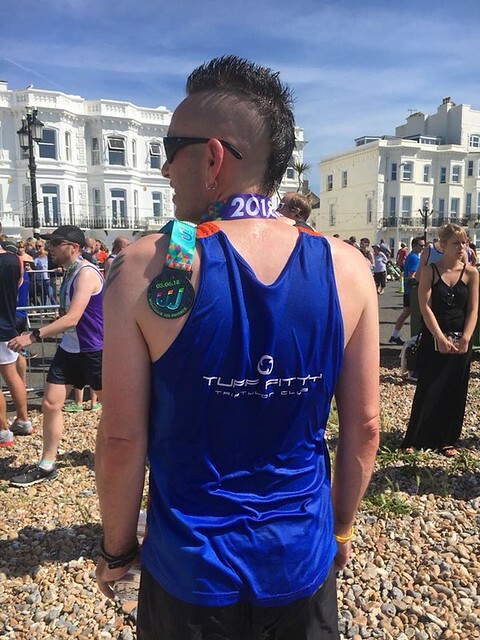 Well Tim Mcgrath ensured his loyalties were covered as he stitched half of his Worthing Striders vest to half of his Tuff Fitty vest (we suppose he has another one like it at home!) It clearly did the trick as he was just 4 seconds off his PB in 45:07; impressive in that weather. 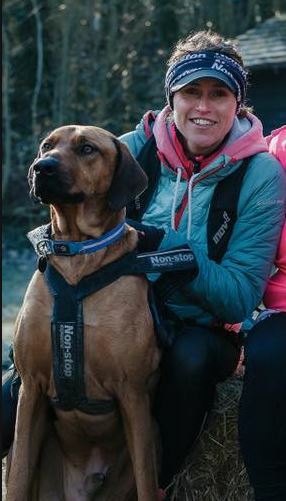 Top Tuff was James Oram, 43:19 and also Neil Rabone (Harriers & Striders respectively) Great to be able to include Elaine Rousseau who became a Tuff the night before who donned her Lancing vest. Clicking on the photo provides snaps of some of the Tuff racers. “Two weeks after my first ever Olympic distance triathlon I was once again re-heating my usual pre-race breakfast of banana pancakes before setting out for the Nature’s Way Foods Chichester triathlon. 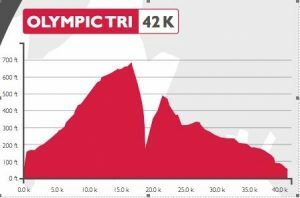 It was Olympic distance again but with a (short) pool swim of 600m, 41.5km ride and 9.9km run. 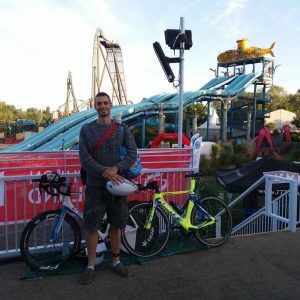 With the ‘leisurely’ start time I decided to register on the day at the Westgate Leisure Centre so I arrived at 7am and picked up my race pack including the free t-shirt and headed down to transition. I arranged my kit as best I could in the space available and headed down to the pool, idly watching the previous wave of swimmers finishing up and wondering where the rest of ‘my’ wave were… then I saw a group filing onto poolside realised I should’ve gone through already! At the race briefing my ears pricked up when the marshal said “…16 lengths…” – just a sec, I thought… I was planning on 24! “Um… it’s a 33m pool then?” I asked tentatively “Yes” said the marshal giving me ‘a look’… to be fair, I wasn’t the only one hurriedly changing the pool length setting on my Garmin (other brands of sports watch are available). Swim was uneventful, though I had to let 2 faster swimmers past. Out of the water and a short jog to the transition area, missed my bike even though I had a bright orange towel on the ground and had to double back about 10m. Geared up and headed out of T1, in all it was about 250m from pool to ‘mount’ line. The descent of Harting Hill was slightly terrifying due to the gradient and unfamiliar twists & turns. Mario Cipollini may have said “Se freni, non vinci” but I was definitely more interested in braking than winning! Into T2 and feeling OK, racked the bike and did a couple of quick stretches to check the state of my legs… fortunately the ‘elastic bands on the verge of snapping’ feeling I’d had all through the run at Arundel seemed to have been avoided – I’d fuelled more and made an effort in the final few km to stand up on the pedals and stretch my legs out. 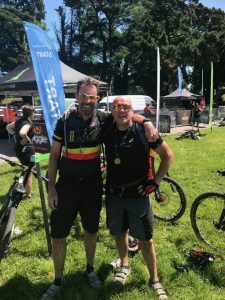 As I headed out of transition the impact of the later start came home – it was hot, really hot. The run follows Centurion Way which is a really nice route along a wooded path so was mostly out of direct sunlight. Even so I was overheating badly by the 2.5km turn (for Sprint distance) & water point – drank half a cup & poured the rest over me for temporary relief and started up toward the 5km turn point, focussing on keeping moving and the idea that I’d ‘reward’ myself when I got there with a brief pause for a drink… the image of a cup of cool, clear water hovering before me is what got me to the turn, only to discover there was no drink station! It felt more a stagger than a run back to 2.5km mark for another ‘drink & a splash’ then just head down and keep the legs moving to the finish to collect a bottle water and finisher’s medal and, more importantly, find some shade to try to cool off. 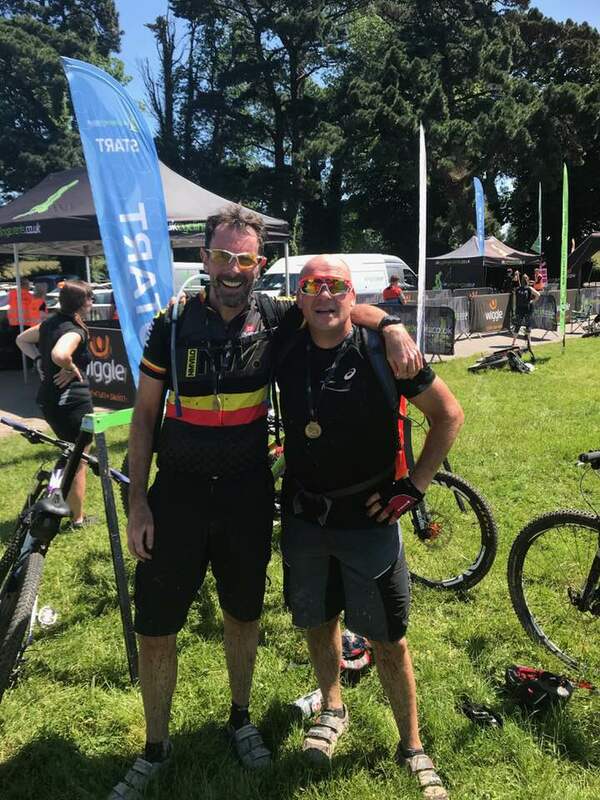 I finished 7th in my age group (out of 21) which was largely down to a strong run (4th) and was only around 19 minutes behind the leader, most of which was from him having a faster bike section which give me a good idea where I need to do more work. Overall I’d say a good event, a couple of small organisational things would have improved the overall experience (better signage for the pool, BIG arrow for the turn, better racking instructions). The bike route was actually really nice and would make a pleasant scenic ride (apart from the brutal climb up after descending Harting Hill) and the run would have been good if the start had been earlier and/or the day not so hot, but a water station at 5km would have made a big difference. The ‘swag’ wasn’t great – an OK medal to hang up with others gathering dust at the back of the wardrobe and a t-shirt that I doubt I’ll wear (one of those polyester ‘sports’ types). 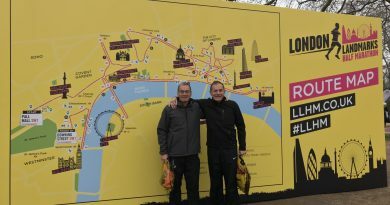 I’d consider doing it again but the late start is a bigger drawback than advantage”. There were four other strong Tuff performances. First Tuff home was Tony Morgan is a great 2:24:24, 21st overall and second in his age band. Ian Bayley was 7th in his age group his time just ahead of Nick. Becky Lintott-Clarke followed up her Cowdray success as 8th female overall and 2nd female vet. Also congratulations to Matt Staniforth who competed in the sprint race. A clear blue sky, high tide and very warm weather as the Tuff Gazebo was erected attracting comments from people lounging on the beach. It was brilliant turnout for our swim in the sea with 20 enjoying the afternoon session. Keep an eye on the website diary for further swims as the tide allows.